County of Merioneth: Dolgelley (4), Llanegryn, Llanfaereth, Llangelynin (2), Llanymouddy, Llanaber (2), Llanddwywe is graig, Llanddwywe uwch Graig, Llaneltyd, Llanenddwyn, Llanfihangely Pennant, Talyllyn. Counties of Merioneth and Montgomery: Mallwyd (2). The population falling within the Union at the 1831 census had been 12,912 with parishes ranging in size from Llanddwywe is graig (population 92) to Dolgelly itself (4,087). The average annual poor-rate expenditure for the period 1834-36 had been £5,641 or 8s.9d. per head. 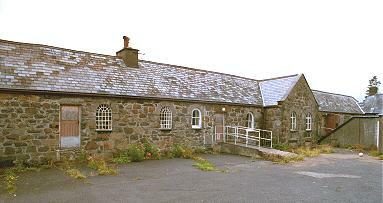 Like a number ofother unions in central Wales, Dolgelley dragged its feet over building a workhouse. 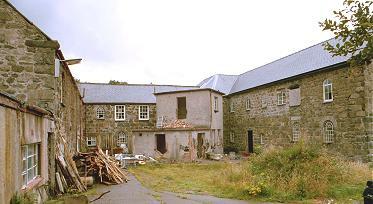 However, a union workhouse was eventually erected in 1857 at a siteto the east of Dolgelley between Pont Yr Arran and Fron Serth. Its location and layout are shown on the 1900 map below. The building comprised two parallel ranges running east to west, linked at the centre, and with an entrance at the north. 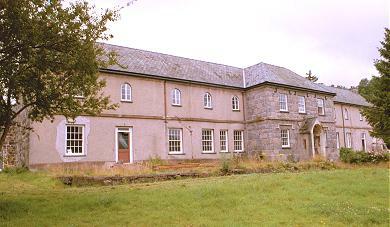 Dolgelley entrance block from the north-east, 2000. Dolgelley from the west, 2000. Dolgelley from the east, 2000. 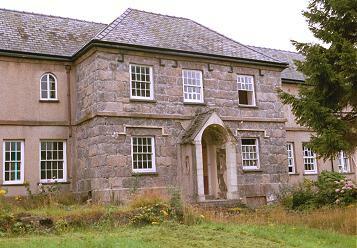 Dolgelley from the south-west, 2000. After 1930, the workhouse became a Public Assistance Institution, then later as Llwyn View Hospital provided care for what were classed as the "mentally subnormal". 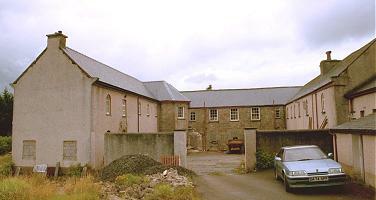 In 2000, part of the former workhouse was in use as a carpet showroom, with the entrance block undergoing conversion to residential accommodation. Meirionnydd Archives, Ffordd y Bala, Dolgellau LL40 2YF. Holdings include: Guardians' minute books (1837-1905, with gaps); Ledgers (1910-12, 1928-30); etc.